Omega-3 is a type of fatty acid that is essential for women’s health. ​Ms Kellie Kong, Dietitian from the Department of Nutrition and Dietetics at KK Women’s and Children’s Hospital (KKH) shares its benefits. 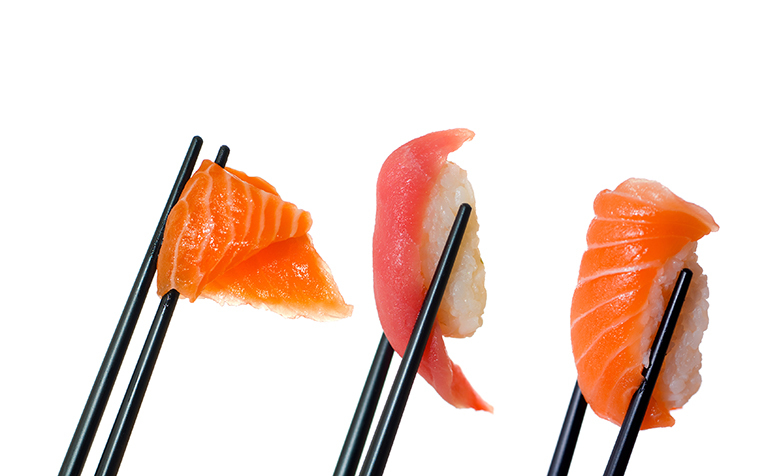  Omega-3 fatty acids ​can be​ found in fatty fish such as mackerel, salmon and tuna. Most women dread the word “fat”, especially when they’re posing in front of a changing room mirror. But love handles aside, they seem to bear a grudge against dietary fats too. After all, saturated fats (found in meat, dairy and eggs) or trans fats (found in foods like French fries, cookies, cakes, etc.) are known to be bad for health. They lead to clogged arteries and bump up your risk for coronary disease. But not all dietary fats are created equal. "There are some fats, namely monounsaturated fats and polyunsaturated fats, which are good for health and helps reduce the risk of heart disease. In particular, omega-3, a type of polyunsaturated fat, is key to optimal health," says​​ Ms Kellie Kong, Dietitian​​ from the ​Department of Nutrition and Dietetics at KK Women’s & Children’s Hospital (KKH), a member of the SingHealth​ group. As the human body cannot produce it on its own, it is essential to get omega-3 from your daily diet. “There are different forms of ​omega-3 fatty acids – alpha-linolenic acid (ALA), docosahexaenoic acid (DHA) and eicosapentaenoic acid (EPA). The latter two, which are found in certain types of fish, are what our bodies need the most,” says Ms Kellie Kong, Dietitian ​from the Department of Nutrition and Dietetics at KK Women’s & Children’s Hospital (KKH), a member of the SingHealth​ group. ALA, a more basic form of omega-3 found in plant sources like flaxseed, is also good as it can be partially converted into DHA and EPA in the body. But the way the body does so is inadequate. Also, DHA and EPA have better established health benefits than ALA, such as boosting heart health and brain power. Many women endure abdominal discomfort and cramps every month, a condition known in medical terms as dysmenorrhea. It is caused by strong contractions of the uterus triggered by prostaglandins (chemicals in the body involved with pain and inflammation). Studies have found that omega-3, well known for its anti-inflammatory properties, can help to soothe this menstrual pain. There is some evidence that omega-3 can drive away period blues too. It may help to bring hormonal fluctuations under control and stabilise your mood. Rheumatoid arthritis affects more women than men and women also appear to suffer more severe symptoms. Several studies on fish oil and rheumatoid arthritis have shown that fish oil significantly decreases joint pain and stiffness in patients with rheumatoid arthritis. Recent reviews have also found significant improvements in clinical outcomes for rheumatoid arthritis.